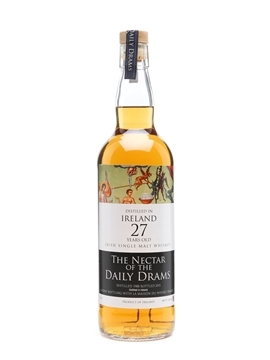 IrishWhiskeyChaser wrote: The 2009 is the one which was released in reduced Numbers. Not sure it equates to the big results though ?!?!?!? I think if I was going to spend that sort of money on a Midleton it would be a 1973 26 year old. I'm sure there was more than 1000 bottles of the MVR 2009. I remember drinking my one at the time. It was the last one I bought. 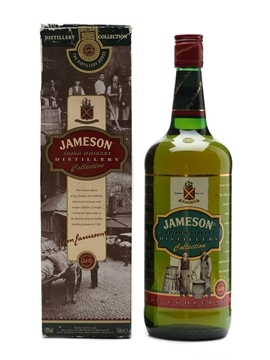 I've tried a few vintages since but I prefer the Jameson 18 or Gold and both are cheaper. 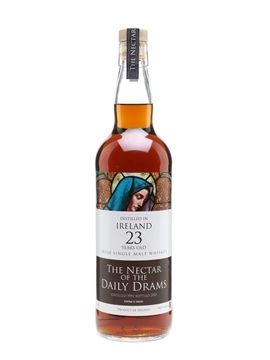 I noticed a gap in the results from Whiskyauction.com site I'll fill in some gaps. 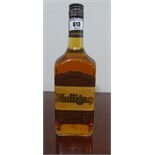 Midleton 1973 26 year old -607, 602,& 622. Powers 70's blend 3 bottles all got 30. 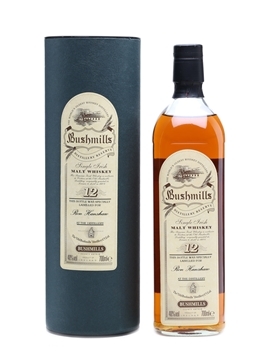 Bushmills 1608 12 year old 1/2 bottles -50, 34, 38, 70, 52, 50. 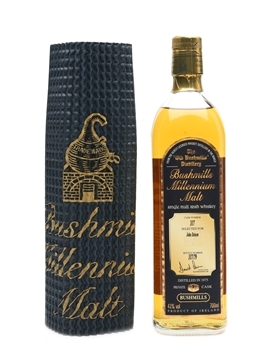 Results of last nights Scottish whisky auctions. I don't check this site too often because its very user unfriendly for the phone. Every thing is in alphabetical order and takes ages to look up. I've a PC again and can post results of the last one. I won't even try get the last few months worth but i'll post any interesting one i find. 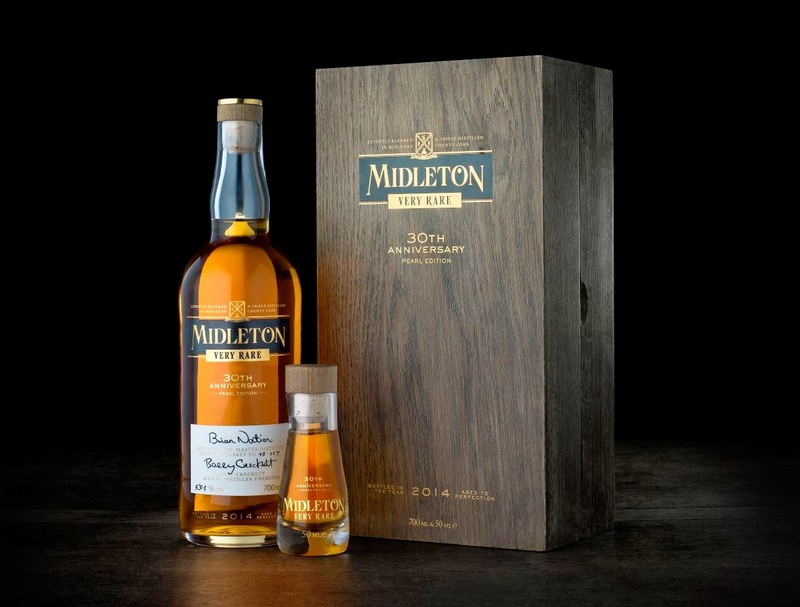 Midleton Pearl Miniature - 330 I have heard of these but had not seen one. It's not a record price for a miniature but not far off. It's a not bargain but close as when you consider the real deal costs 10 grand as this actually comes as part of the box set it and is possibly the cheapest way to get a shot of this, unless you were lucky enough to get it for the original price of €6,000 which was not around for very long. to run yet Mammoth price . I'm down to my last bottle now. I did enjoy them but I won't be tempted to restock at those prices. Estimate was 300-500 it fetched 100 euro. It appeared to be opened. Estimate 100-200 it got 95euro. 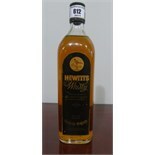 Hewitts Whisky. 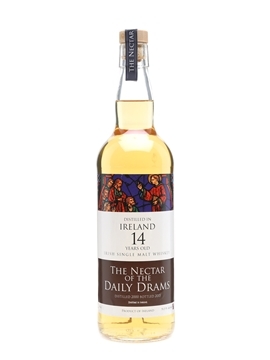 A Blend of Old Malt & Light Whiskies of Smooth & Distinctive Character. Cork Distilleries Co. Cork. 70 proof, 26 2/3 fl oz. There was 2 of these on auction. Estimates were 400-600. Madness but they are the rarer ones with whisky-no "E". Mulligan, The Warm Hearted Spirit. Estimate was 30-50. This got 30 euro. Good Whiskey Hunting wrote: Hewitts Whisky. A Blend of Old Malt & Light Whiskies of Smooth & Distinctive Character. Cork Distilleries Co. Cork. 70 proof, 26 2/3 fl oz. 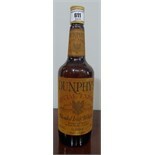 Price may not be as mad as you think as these may be the bottlings that had a touch of peat which are very rare. Would love to get a bottle myself. I was in Cork for a tasting & there was one used. There was a touch of peat in it. 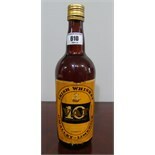 I know the later ones, spelt whiskey were standard enough, no pot still but still nice whiskey. I wish IDL had kept it and not Dumphys. still have one or two opened and unopened around the place. Thanks for the education on the Hewitts, those bottles were a bit pricey so. Absolutely. They are a product of (new) Midleton. Thanks for that Raven. I could have sworn there was a hint of peat in it. along the line. You'll have to attend. 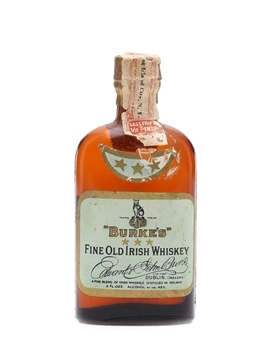 There were some good Irish whiskeys in http://www.whisky-onlineauctions.com last night. Jameson 12 US Import late 60's? There was some bargains in this one but they weren't Irish. 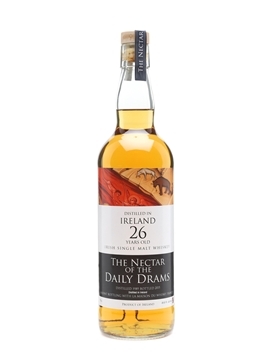 I seen they had 6xArdbeg 10's that sold for £155(182.90) so with postage etc that works out about €45 per bottle in Ireland, normal price is €69. That's good value I think. There were others but nothing special. I bought the Jameson Cooperage. By the time you pay 15% commission, VAT and postage, it cost me about £95. 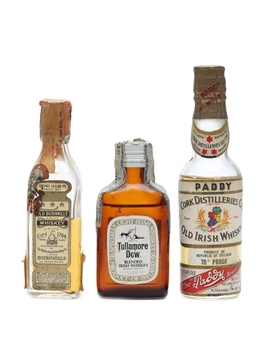 You really have to buy a few whiskeys to make this auction work. JohnM wrote: I bought the Jameson Cooperage. By the time you pay 15% commission, VAT and postage, it cost me about £95. 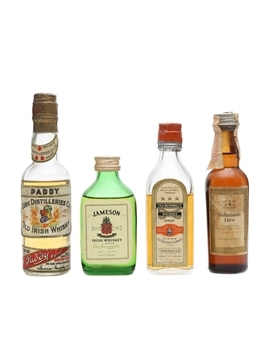 You really have to buy a few whiskeys to make this auction work. That's about €120. I guess it's not bad. I don't see to many of them nowadays. 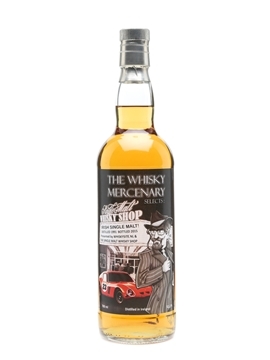 Do you have the Distillery Horse too? Yeah. I have the distillery horse too. Got a few of them years ago for €35 each. I think it is just regular Jameson inside. 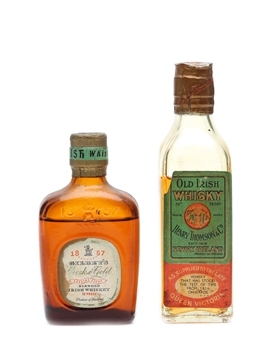 Scottish Whisky Auctions had a few Irish Whiskeys. I'm only mentioning 6 but there were a few others. Prices weren't remarkable so I didn't record them. I'm not saying these are remarkable prices either. I really wish they would make their site easier to use. It's going for 5 years now and still as difficult to use. If you use #Irish Whiskey as a search you'll find lots of lowland whiskeys but may not include some actual Irish Whiskeys. Picture it did not even look sealed -- no foil capsule etc. Amazing price but it was a '1916' auction !! Yes truely amazing all right and I believe a record for any Irish Whiskey. 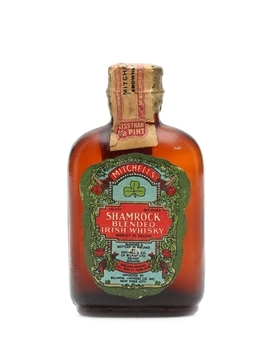 I also believe this price is more down to 1916 memorabilia rather than Irish Whiskey collecting. Brilliant no matter which way you look at it though. An original copy of the Proclaimation went for an eye watering €185,000.00. Even some medals were going for thousands rather than hundreds. However I'd have serious reservations on the cork never mind it missing the seal. Just does not look right but who knows it does look like it has been in the bottle for a few years at the same time????? Even if the cork was replaced on the original contents it is probably now suffering serious oxidisation. Anyway I am sure it is going somewhere it will be appreciated for what it is. I see that Allman pot still has turned up again. It sold for €6,600!